A lazy day which started with brunch, then to the football field to watch Lachlan play, a trip to town to kit Gus out for his first school ball, then a family trip to the Hamilton night market. It was lovely to be all four together. Scrummy food but otherwise not much to tempt us back… a sort of glorified $2 shop with one or two notable arty exceptions. Interesting range of food though and plenty of people made it a bustling, warm atmosphere. 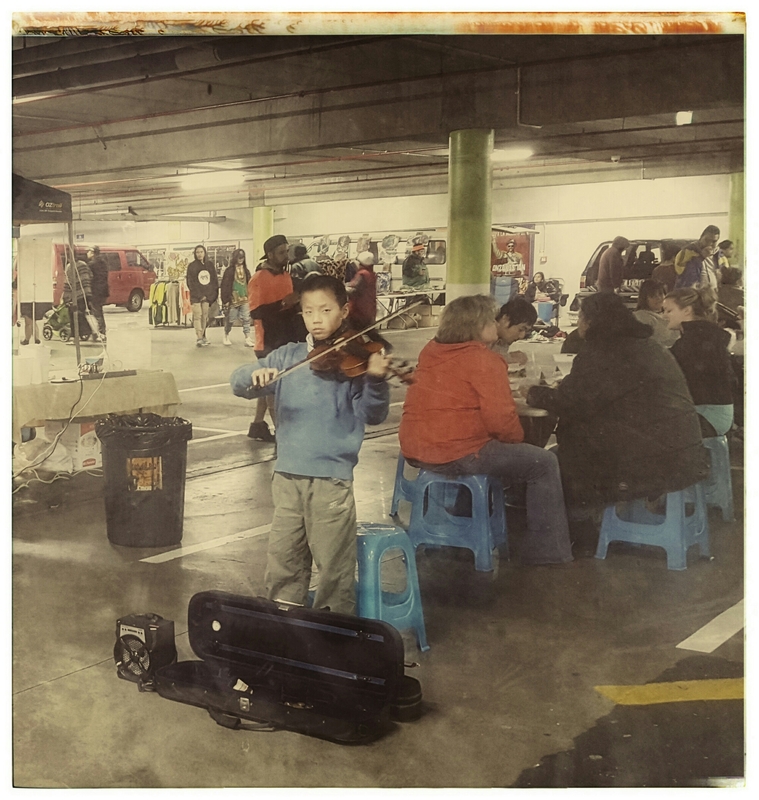 This little boy bravely played his violin amongst the throngs.